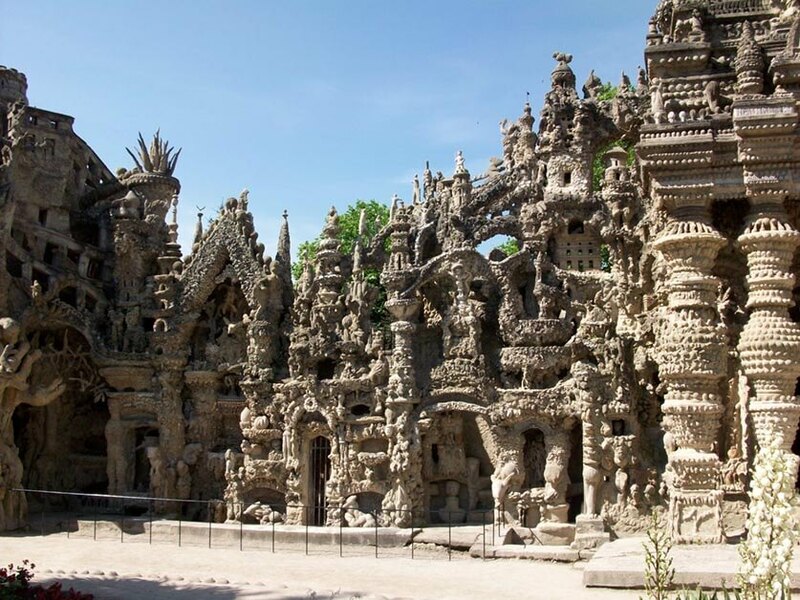 The Ideal Palace or Ferdinand Cheval Palace is a truly unique structure. Ferdinand Cheval, a rural postman with no formal training, built it himself over 33 years. 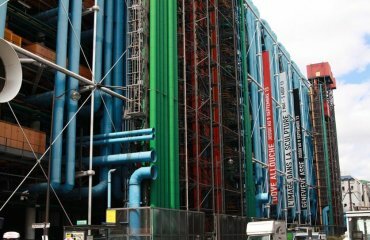 It was named a historical monument in 1969 and influenced artists such as André Breton. In 1879 Cheval, age 43, struck his foot on an unusual rock while on his 18-mile route. The experience was a catalyst for the creation of the Ideal Palace. He began with a fountain which took 2 years to complete. Next, he created the cave and expanded from there. 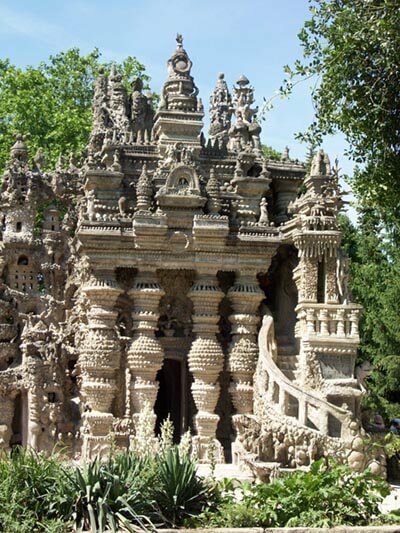 Amazingly, after completing the Palace at age 78 Cheval decided to construct another structure! He realized that he couldn’t be buried in the Palace tomb (perhaps because it had been opened to the public) so he began work on a new tomb in the local cemetery which he completed eight years later. It is believed that Cheval got his inspiration from nature, early periodicals, and postcards. André Breton and others visited the Ideal Palace several times and took photographs which were shown in the Museum of Modern Art in 1936. This led to Cheval’s work inspiring others. The Ideal Palace was said to be the precursor to Surrealistic architecture. 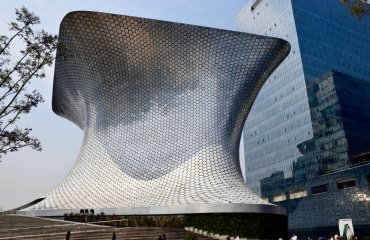 The Surrealistic art movement, which focused on blurring the line between reality and dreams, later influenced contemporary architects such as Frank Gehry. 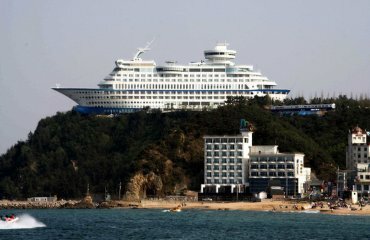 To delve deeper into the realm of unusual architecture, click here for another crazy building.